I started working on this yesterday for a simple project to "get the juices flowing" again. Essentially it will be built like the box art, but I will be using the "modern" frame mounted headlights and the front bumper guard. Haven't totally decided if I want to try to add spark plug wires to the engine or not, or if I want to source some resin balloon tires. Here is where it stands as of now. As you can see, there isn't any paint yet, but that too shall come. It really is a great kit. For it's age, I'm really surprised at the fit and almost complete lack of flash. It's the same era as many of the AMT kits, but it's so much better. I guess that's way some people say that AMT stands for "Almost There". If I build another one of these Macks, I wonder how difficult it would be to back date it to a WW1 era AC. I know the British Army used them, not sure about the US. From your photos, castings look very good. Will look forward to seeing this one built up. Very cool project! Looking forward to seeing your progress on this one! very nice choice you can do so much with this kit I love it. I talk to Dave at AITM to get the “retro set” pre 1923? the wheels, hood and the chain guards that was almost a year ago and he said he still can’t find the molds for it. If you want to put updated wheels, tires and headlights he will hook you up just tell him what your doing here’s some pics Dave sent me of his to give you a idea . I will be following this build indeed who knows I may dig mine out and build it along with you it’s almost done. Man, I need a set of those wheels! Those are nice wheels & tires. I might have to check with him. When Jeff Harper and I built out Mack AP's a few years back we substituted Delrin chains and sprockets for the plastic drive chains found in the kit. But we took a lot of parts from the kit to do our builds. 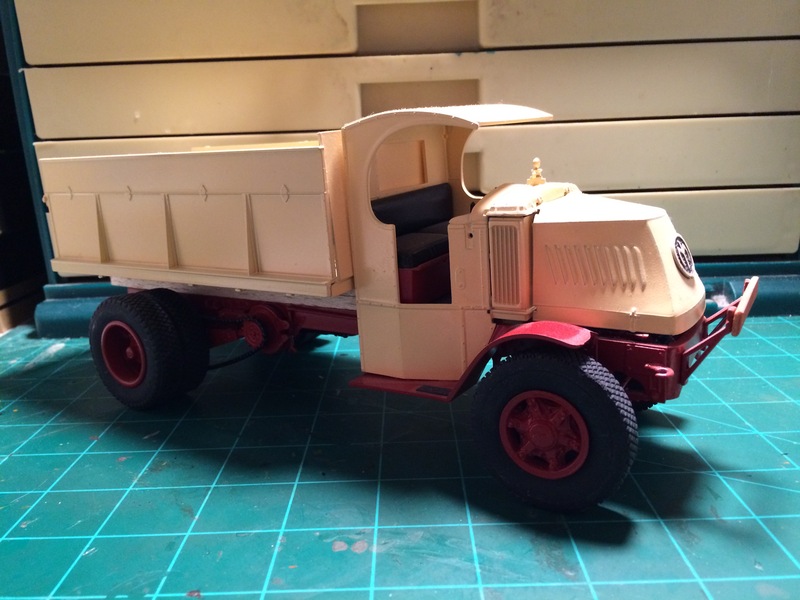 That is a nice kit to work with and there are lots of possibilities to build things other than the dump truck, logger or tank truck. They were used for just about everything. Here's a photo of the AP so that you can see the resemblance to the AC. Wow! That AP is a beast. Very nice work, Charlie. You'd probably know how to back date this to a WW1 era truck (for future reference). These were post WW1. They came out in 1932 as the result of a conglomerate called Six Companies that asked Mack to come up with a heavy duty rig they could use in building Boulder (Hoover) Dam. 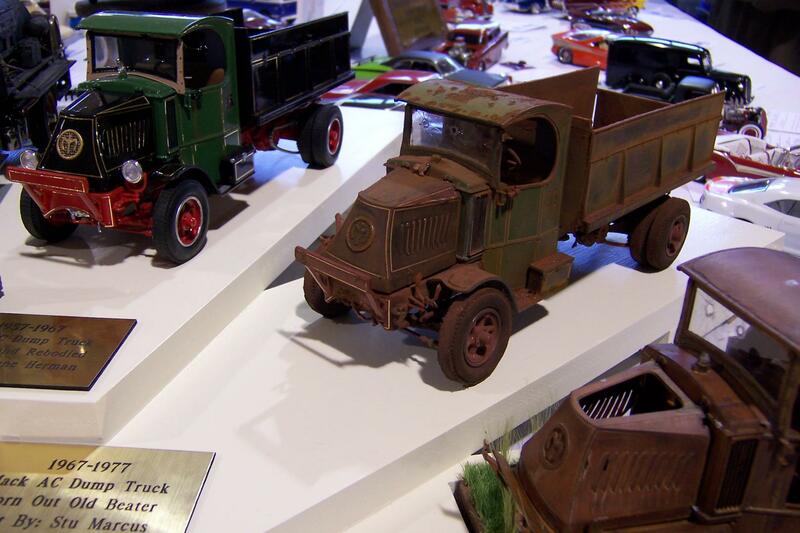 It was the first true off-road truck of its time. Not the AP, the AC. That was introduced in 1914, right? Loving this thread. I have a couple of these to restore, and a couple of virgins to build. 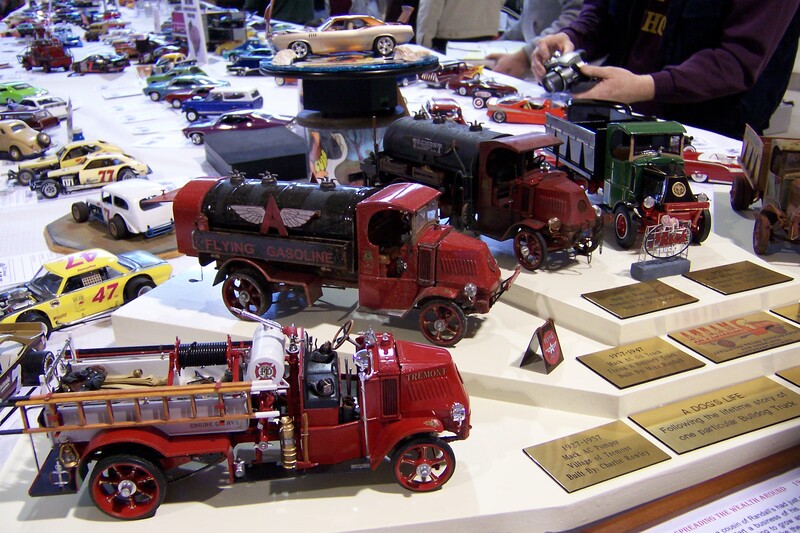 The history of these trucks is fascinating to me, and seeing you guys building different incarnations is too. Always something to learn on this site. Thanks. 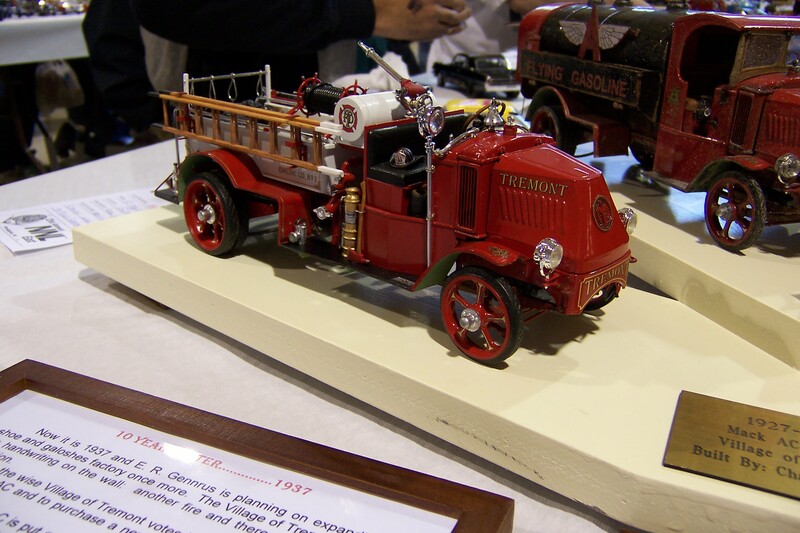 The prototype was built in 1915, and production started later the same year. 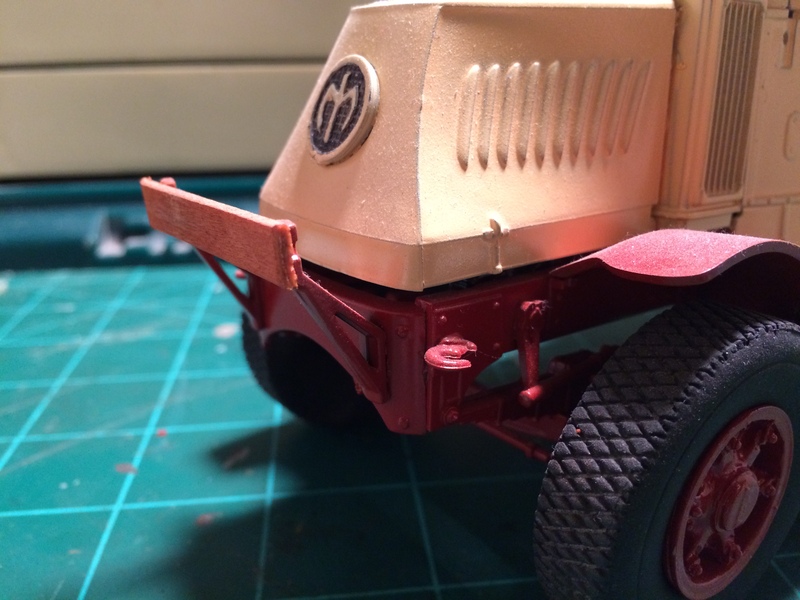 The early trucks have screened in hood sides instead of the vents, but by the end of 1916 they look pretty much the same as the kit except for the wheels which are wood spoke with like a dozen spokes vs the later cast wheels as included in the kit. 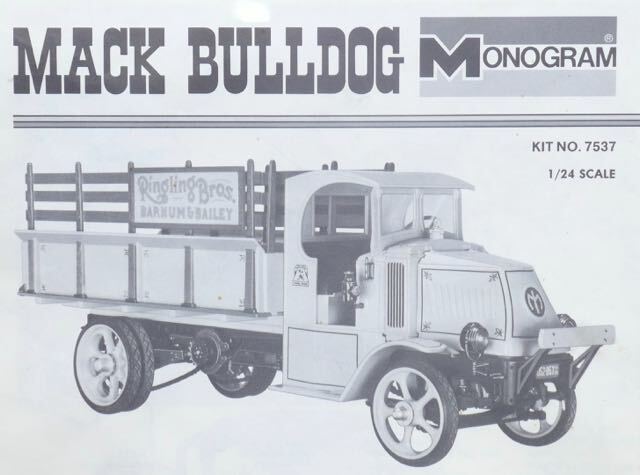 I have a really good book on these trucks Bulldog, The World's most famous truck by John Montville. Fairly easy to find cheap on Amazon or Ebay. 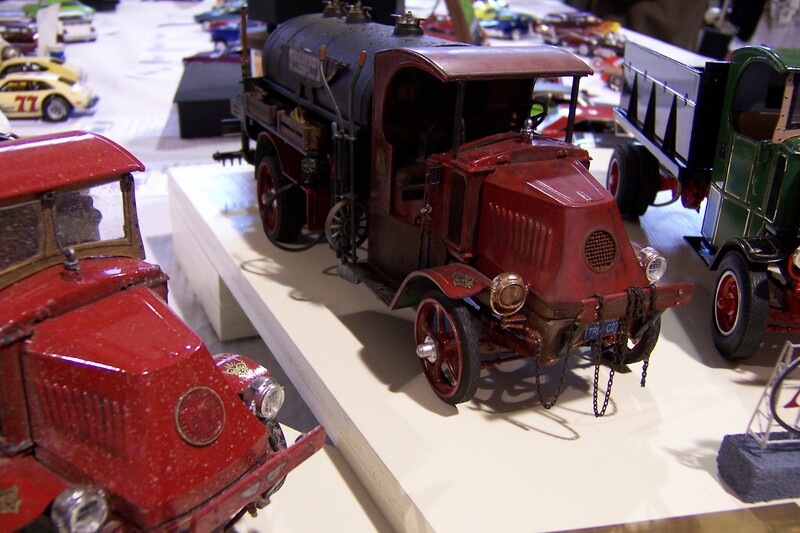 Tons of information and photos of the trucks and its various offshoots as well as some good 3 view drawings. What kit is this?? Most interested in the engine right now. 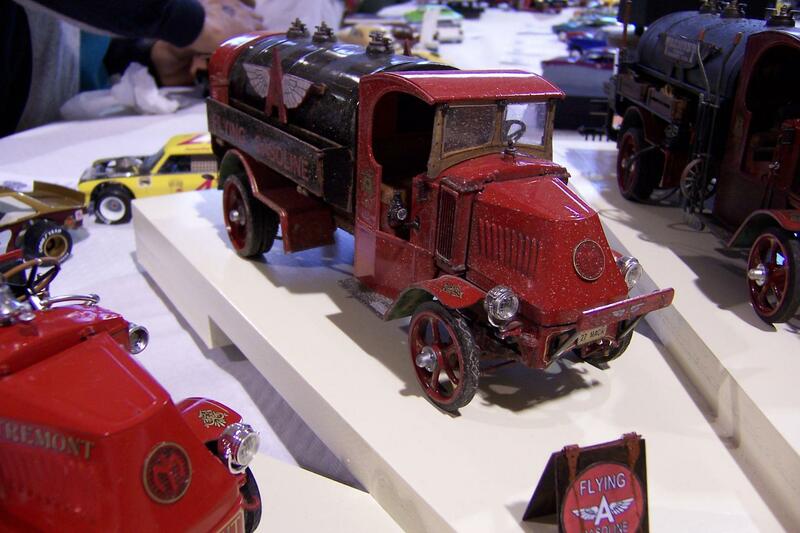 Is it a resin cast? 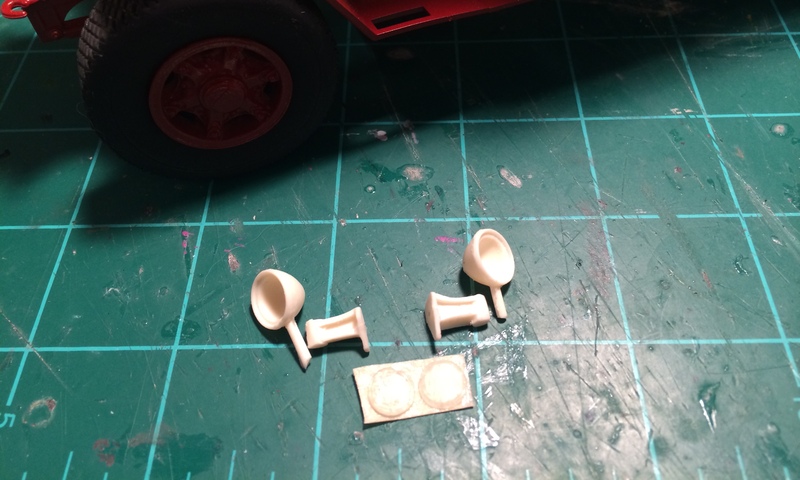 Looks to be an assembly of parts with some added detail. 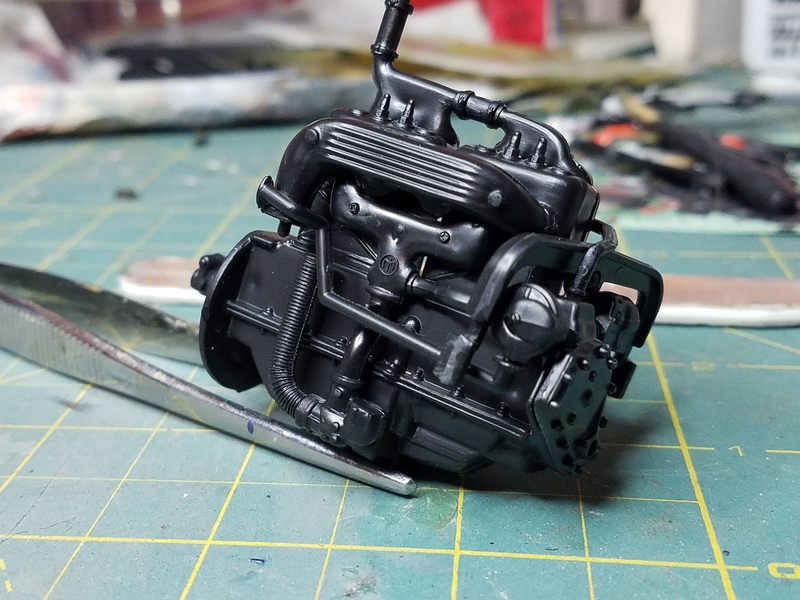 Anyone willing to post pics of the engine parts untouched?? Beautiful truck and I can't help wanting one. Raymond, this is a Monogram kit. I was originally released in 1976 (or so), and this is the 1995 reissue. 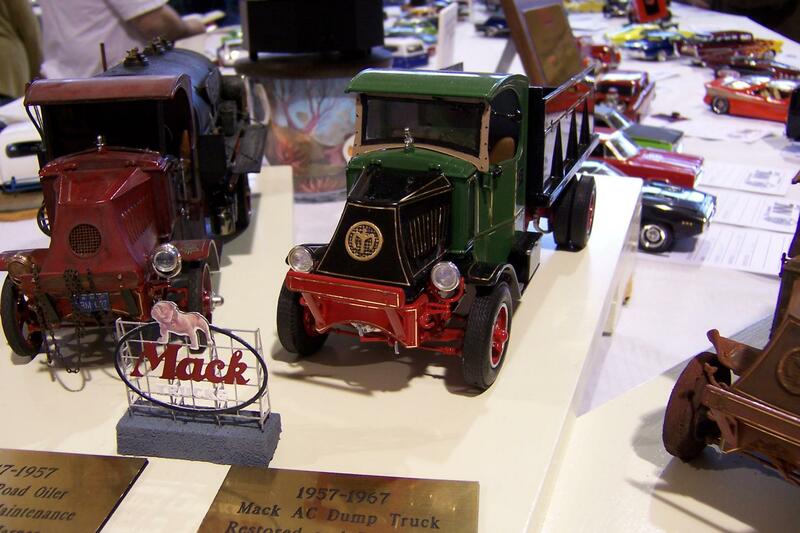 The Mack AC has several incarnations: dump, tank, logger, & stake. The photo of the engine in the beginning post is of the untouched engine. It is molded in black, and I have done nothing to it yet. Somebody must have done something to it. I can't believe it left the kit maker/manufacturer looking like that. Ok, you got me! It didn't come from Monogram like that, I had to assemble it. But other than that, that's all I've done to it so far. 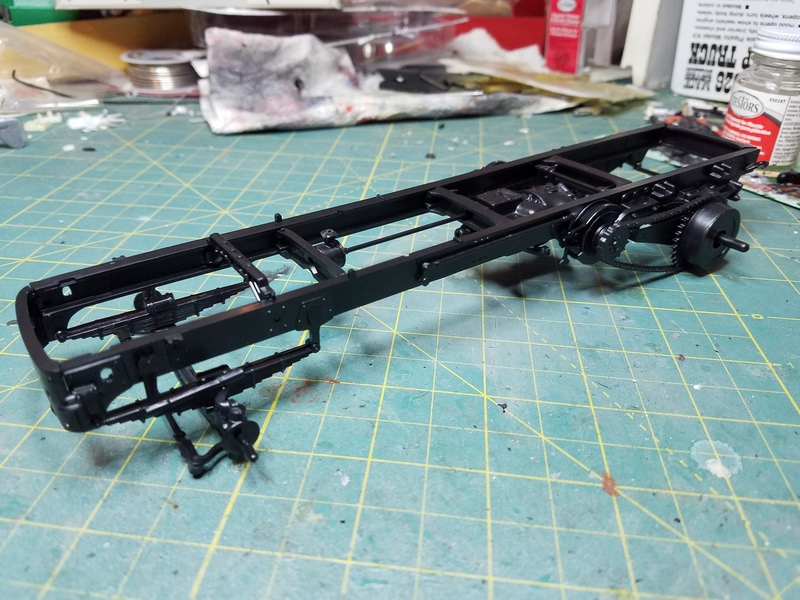 No paint, no detailing, nothing else; just assembly. 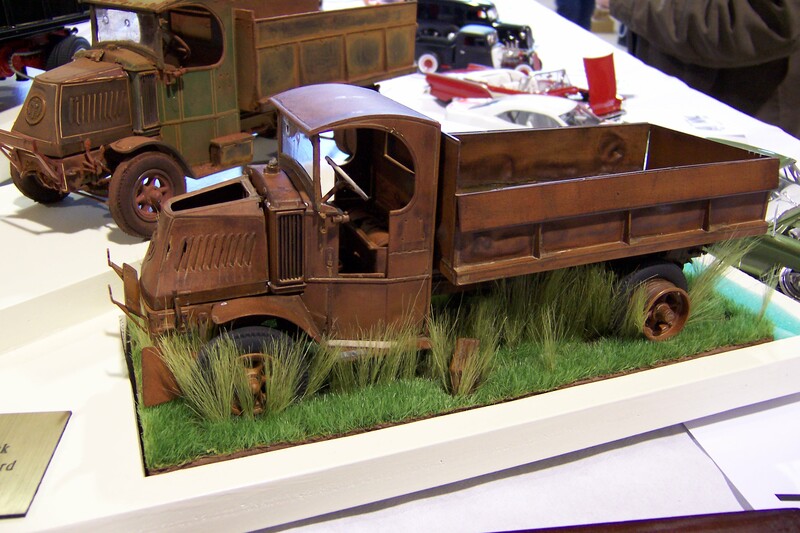 Oh, I forgot to mention that this is a 1/24 kit, but there is a resin 1/35 Mack AC kit available and as you can imagine it is quite expensive. The Monogram Mack engine is very nicely done with that Mack emblem and all. The only complaint I ever had was the fit of the hood. Never that great. It takes a bit of tweaking to have it sit down flush with the frame. If any of you went to NNL back in 2007 you might have seen this display. We did six AC Macks all in a theme. 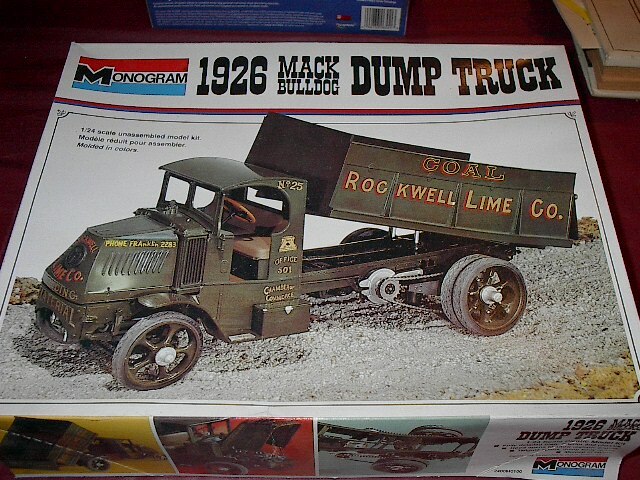 Also if you haven't seen it, I posted a bunch of photos of a 1-1 Mack AC dump truck that is nearly identical to the truck in the kit. 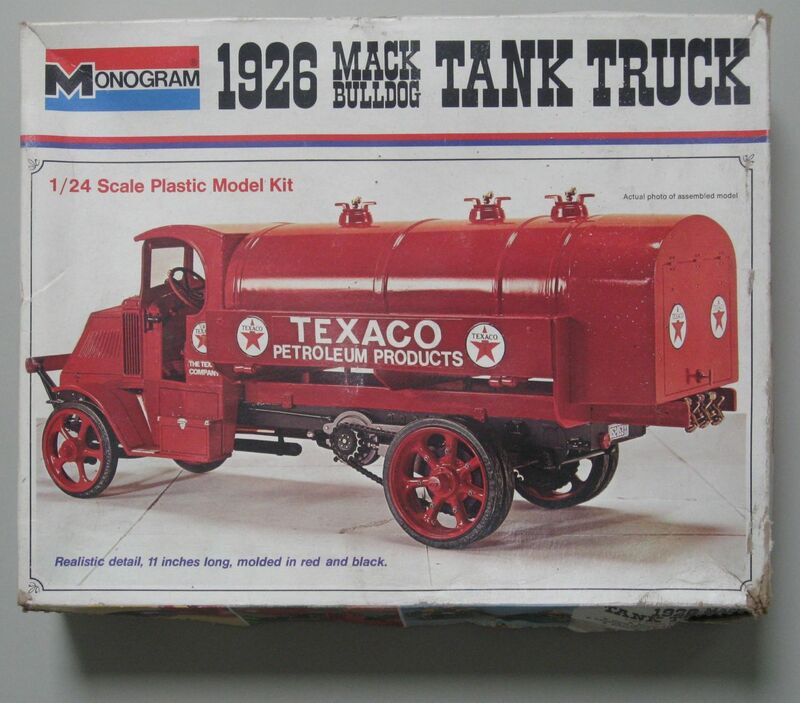 Revell re-issued the tanker a couple years ago, I wish they would revisit the rest of the series. It is a nice kit and there are all sorts of things that can be done with it. Many thanks for that bump. 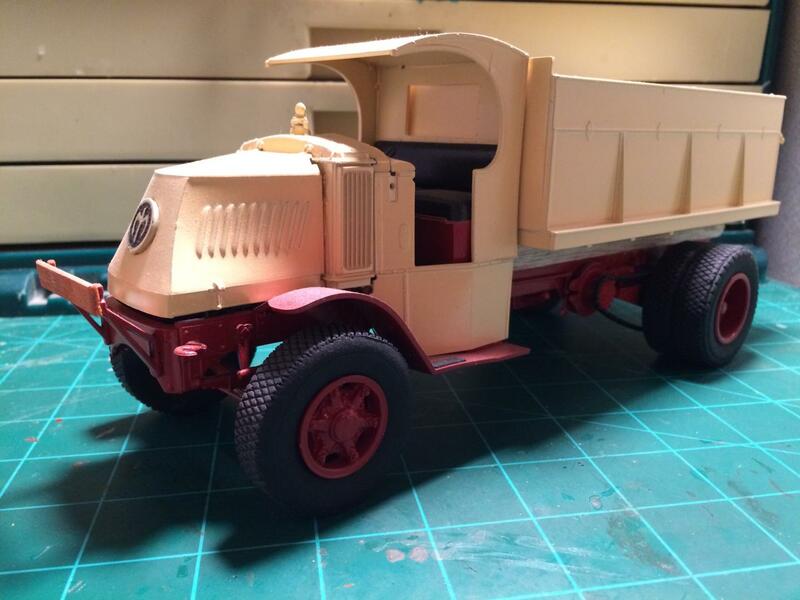 I ordered the dump and earlier tanker kits. Any photos of one with a gin pole? Or one with a factory installed winch? Grew up in the 50's and once a year my Dad would haul a load of scrap metal into town to the scrap yard where they had one in daily use. Money from the scrap he bought more useful iron and paid for welding tank refills. As a kid I was fascinated by the chain drive and solid tires. Last I saw it they used it to load a 337 Lincoln Flathead engine into my '61 Corvair trunk back in 1963. 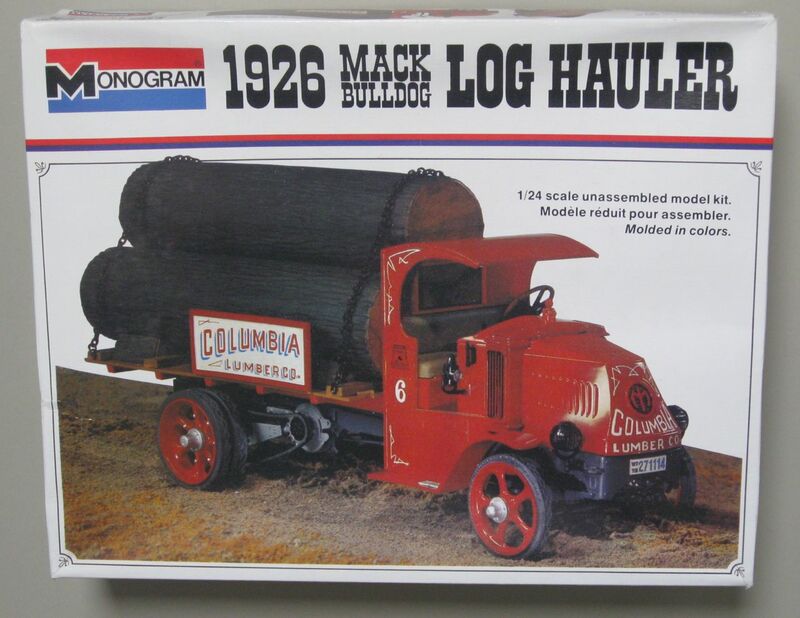 Would like to build it using the log truck. Beautiful kits. Just noticed wrinkles in the seat cushions. Interesting how small the gates are. So small many parts were loose from the trees in an sealed kit. Hope Jim B keeps posting progress.